Two softly muted finishes on traditionally styled moldings give the look of old gold and silver. The gold frame's top and sides are wire-brushed and rubbed with a light gray wash. 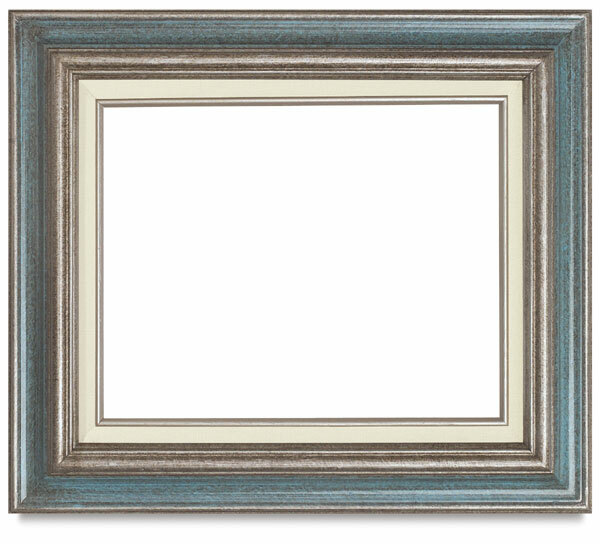 The silver frame has a cool, sky blue band which coordinates with landscapes and portraits. Both have linen liners. These frames have a rabbet that is approximately 3/8" deep (about 10 mm), sufficient for a single or double-matted work on paper, but not deep enough for stretched canvas.